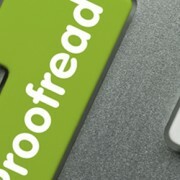 Our academic proofreading service is of the highest quality, all of our academic editors have the highest levels of expertise. As a minimum we ensure that all of our academic editors hold Masters/PhD qualifications from leading British universities, and have extensive experience in the field of academic proofreading. Due to the expertise of our editors we are able to ensure that your work is not only free from spelling mistakes and grammatical errors. We will also check syntax, sentence structure and are able to recommend improvements and suggestions that are relevant to your work. We also as part of our standard academic proofreading service recommend content improvement suggestions, and we will also check that your tables and footnotes are accurate and consistent with your bibliography. In academia it is fundamental that work is clear, coherent and is grammatically accurate. This will not only assist the reader in ensuring that they are able to understand the points that you are making but it will also create a positive, professional, academic tone to your work. This will also aid an examiner who is marking your work to understand the points that you are making, and consequently award you with higher marks. Over the years we have helped many academics improve their work, from students to professors. Often when proofreading your own work errors begin to go unnoticed due to your engrossment in the content. We are able to take a fresh look at your work and ensure that your work is free from any such errors. We have many success stories of students achieving significantly higher marks due to our academic proofreading service. If you are an international student, you can rest assured that our editors have the necessary experience and expertise to proofread your work to ensure that it reads grammatically correct, and flows well. We understand that writing in a second language can have its challenges. This is exacerbated when writing academic work. Therefore, we are able to take a fresh look at your work and ensure that your grammar, syntax and style of work is in line with what is expected.